Visually the episode wasn’t anything special (again) but the way it handled itself was pretty interesting. To think about it, the first half really was a recap. 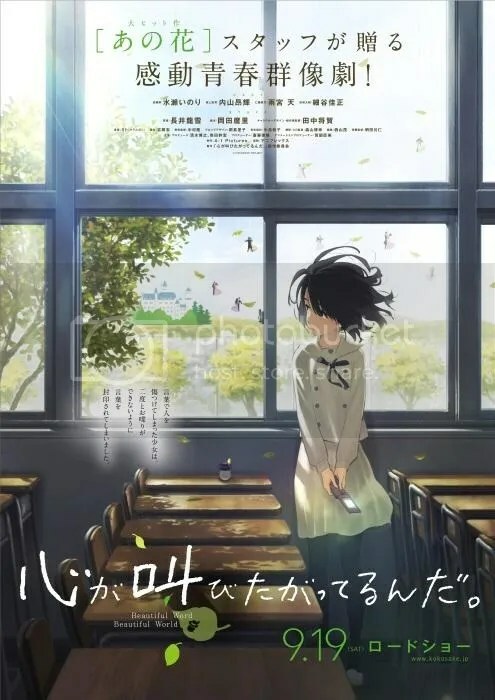 Still, telling the story from a different perspective both reminds of the past events before the climax of the story, adds more depth to Kakeru’s character and also shows what happened in the old timeline – it’s a win-win situation for the viewers. Would that recaps were all made by this principle – showing already seen events from a slightly different angle. 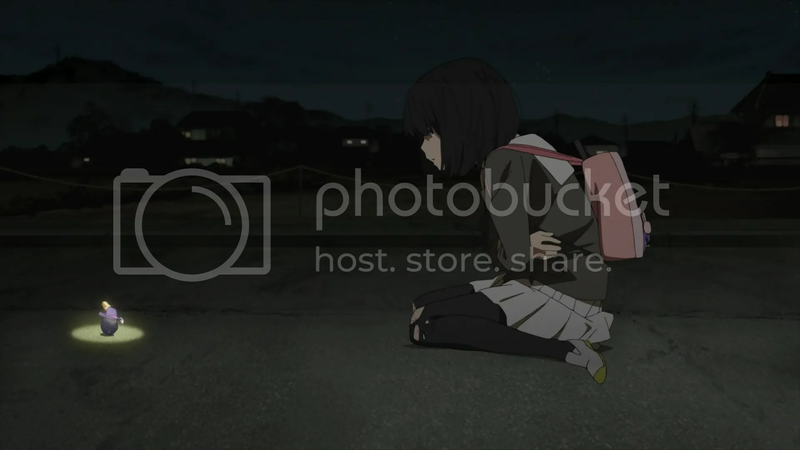 Naho’s desperation in the old timeline was depicted well as she wanted to reach for Kakeru (who himself didn’t find the right words and right people when they were needed) but ended up full of regrets because of missed opportunities. The OST in this part particularly enhanced the visuals though I can only praise it for the job done during the whole season. The time travelling part again is not the strongest point of the show. It had to be explained somehow and, even if what we got wasn’t the greatest explanation ever, there have been worse tries. Still, it’s really hard to believe how fully grown adults so easily believe in such a pseudoscience and worse, it actually works exactly as they want it to. Clearly, everything is set up for the season finale and I doubt there could be done much more from the technical point of view. The battle did receive a lot of attention and it was depicted with enough gravity and sense of something inevitable that you must stop but just can’t. Though the armies could have at least used formations. Leaving the visuals aside, it was not the first time that I felt very disconnected from the show. 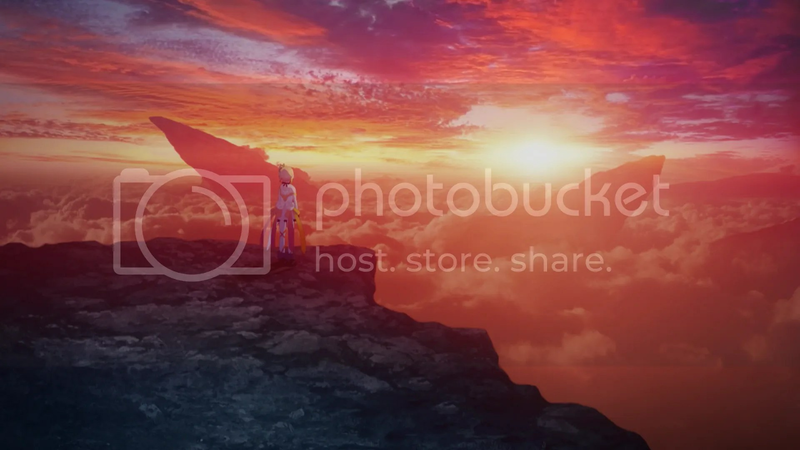 Probably the middle season by-product of the Berseria commercial didn’t help either. Well, just everyone shouting shounen-esque attack names whose various effects scream of RPG, trying to fight without killing (especially when the fighting is done by two girls against a multitude of professional soldiers) or purifying a fighting field and thus killing both phantoms and soldiers (or knocking them down? If that’s the case then they will start fighting again after regaining consciousness so what’s the point?). Anyway, I did appreciate all the work done to make the episode look as well as it did but I can’t be positive that I liked it much. Yawn. Yep, the same old formula all over again. Quite unticlimactic as the grand finale, eh? Yes, it’s a slice of life but some closure would have been nice and not an episode that could probably be easily swapped with any other episode. Kotori’s mom finally found time to join the cooking group but apart from a new face it had no effect at all. Some wisdom of life again was sprinkled and, as the saying goes, it was food for thought. Talking specifically about family and relationships felt appropriate knowing that it was the last episode but frankly it was nothing new or unexpected. 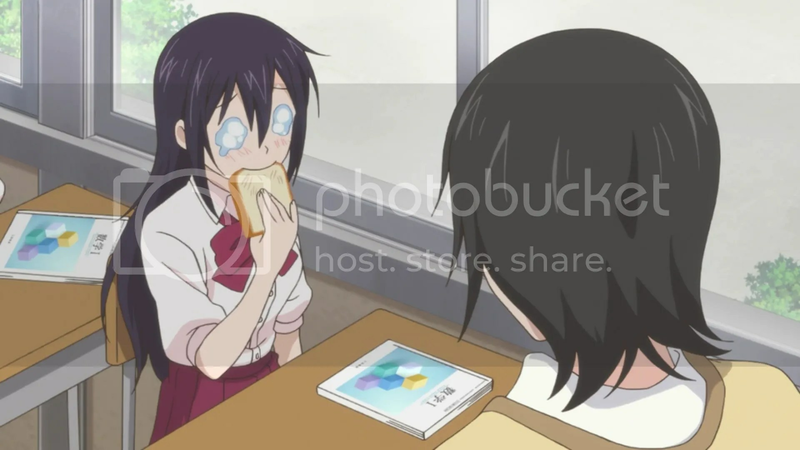 Tsumugi showed her childish side probably more often as ever but as always all the problems were solved and everything as always ended with a loud “oishi”. I wonder if there was an episode without that. That was anything if not intense. So intense that there are barely any alive characters left and those alive face not the most pleasant future perspectives. 3 of 4 Angelo’s targets are finally dead though the last two died only by the help of Angelo’s machinations and not directly so it’s only up to himself if he’s able to feel at least some satisfaction about that, if there is at all any satisfaction to be had. It’s obvious that while Angelo so far has executed his plans almost flawlessly, he forgets the most important part of any plan – how to remain safe and sound when everything’s finished. Even if Angelo will be able to deal with Nero, his perspectives hardly look bright as he has made enemies all around, also after the death of Corteo there isn’t anything or anyone left in the world for Angelo to live for save the revenge. If everything will go well for him I doubt he will be able to live a normal life and something like a suicide can be a probable outcome. That Strega guy wasn’t too happy about being only a nephew of the don so even if he overreacted by ordering the massacre of the Vanettis, everything should be going in his favor, but leaving someone as untrustworthy as Angelo alive could become a problem for him, too. So, the bottom line is that Angelo is on the verge of obliterating all the Vanettis and probably dying in the process – he doesn’t look to care about anything else in the world. After the pretty light-hearted end of the sports festival New Year’s celebration strikes with more emotions and not so bright a future ahead. It occurred to me that the concept of the future in the show portrays it as not having such a diversity as one could think of. There are some milestones (even with identical dialogue) that are reached by very different means. 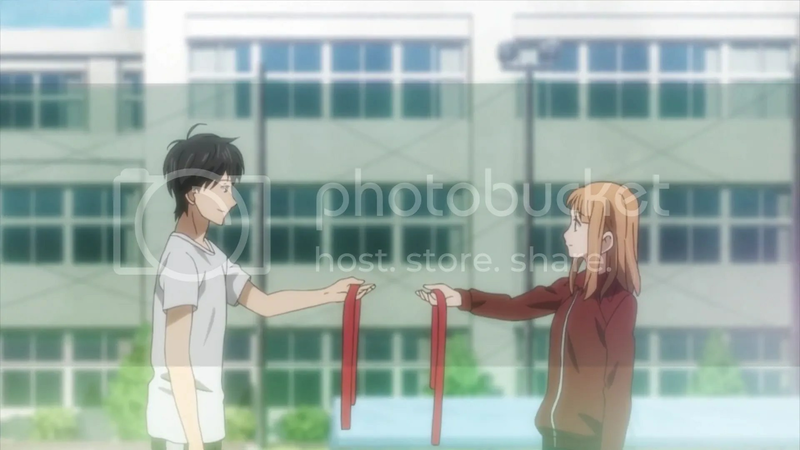 Kakeru in the new timeline is certainly loved more openly and has far better relationships with everyone but when the time comes, everything turns out the same way as in (now) drastically different old timeline. It’s quite counter-intuitive that even when the timelines have diverged, the letters still appear to be a very good source of information. 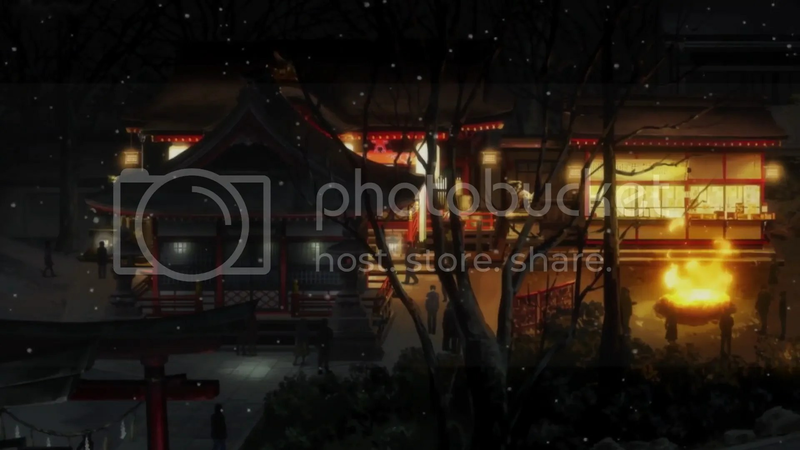 Then is it really worth struggling if after all everything burns down to the same scene where Naho manages to fail? I find it a bit hard to believe that the older Suwa openly questions his past choices when he has apparently a perfect family and would abandon it so easily. Yes, he certainly has a good heart and it shows in the new timeline but in this way he looks not to be cherishing his life at all. A bit disrespectful to his baby and Naho. By the way, Hagita’s officially joined not that populous male tsundere contingent. To be frank, I’m disappointed. Shirayuki proved to be a very unprofessional assassin. It’s almost funny when the conversation goes something like “I’ll kill you.” – “No you don’t. Wait, kill me.” – “No, I won’t.” – “OK, pack your things, we’re leaving tomorrow.” Even the identity of the assassin was pretty clear from the start. Other than that, the episode remained uneventful – the last arc with epidemic and stuff got wrapped up and only the introduction of (almost) new character moved the story forward. If a Shepherd takes in malevolence when purifying a human, it would probably makes him more likely to become a dragon (or something like that) himself. It would be a nice twist when everyone would have to fight the strongest dragon of them all. Sadly, as it’s very unlikely, abilities of the animators will have to be shown in some other way. I finally remembered what has been bugging me about Alisha’s character design, to be more precise the hair – it seems that the character designer watched too much Shiki. Well, to be frank I can’t say much more about the episode that I haven’t said about the last one or even earlier ones. The episodic nature of the show doesn’t allow it to grow, to have character interactions that would be relevant in more than just one episode. Yes, the right atmosphere above all other things could be the thing the staff is trying to achieve but you can do so much without introducing something new. And introducing some variety wouldn’t be so difficult, just try and change the usual (and sadly becoming a bit boring) formula by for example exploring Kouhei’s and his wife’s relationship or going on a trip somewhere or just anything that would change the scene or usual accurately timed cooking and non-cooking segments. Sure, the episode had some funny moments, it was nice to see all the important characters gathered together and Tsumugi dealing with her problems but pretty much everything falls into the category of “been there, done that”. All these ramblings actually are quite irrelevant since there is only one episode left but just for the record – any more of the same formula would definitely make me yawn. 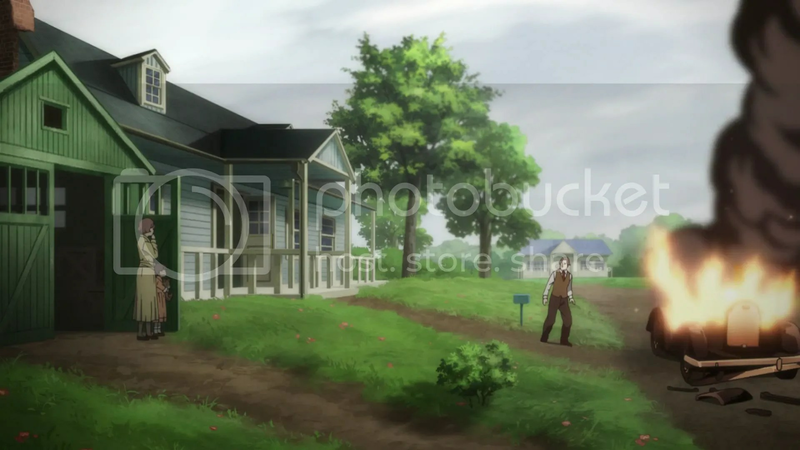 Starting from the end of the episode, I feel quite confused as when I was sitting with an all-knowing grin thinking “there’s no way Angelo will do that” and, well, he actually did. I’m still pondering if everything’s really as it looks or that’s just a false cliffhanger. Either way, the Vanettis will probably get the short end of a stick considering the look on Angelo’s eyes – the sincere smile on his face (I don’t remember him smiling for a long time) wasn’t long-lived. Even Nero seems to have decided to let Angelo choose where his loyalties lie and I’m not sure if that’s the best decision for him to make. Yes, Corteo did turn against the family but maybe it would have been better to persuade him (somehow) and keep Angelo loyal and not angry. Everyone should already know that angry Angelo can do things. Now Nero looks to have chosen his own fate without much hope of reconciling with his new (and probably already ex) best friend. In the end the uncle also chose not to help Angelo so his dreams of power will probably shatter. At this point I don’t even know if I’m more sad about all the unfortunate doings of the Vanettis or disgusted that almost all the members of the family are ready to employ any means available to get more power. Hagita not telling about Kakeru’s ankle problems from the start seems like a plot hole. Does not one person read his/hers letter till the end and share the information with others if it’s Kakeru’s life that depends on it? So, the power of friendship won once again and effort proved to be worth much more than skill and talent. Even if I would have liked a little bit more pompous and emphasized finish of the race it more or less felt like a decent culmination of a few past episodes. Still, the show will need to give a bit more effort to give as strong a feeling as it did in the very start. Animation while not impressive stepped up from the level of bad and hopefully it will manage to retain the quality till the very end. Also, as the competition part ended the story will need some other focus but there’s still very much to be told (like strengthening of the relationship of the main couple as well as some more information about how all those letters came into being) but there’s only 3 episodes left. First, for some time already I wanted to give some praise to the soundtrack. This episode and pretty much all the previous ones were really enhanced by the music, especially the battle scenes. The elements of the story still largely resemble RPG – this time it was that tree that Mikleo fought as well as all the wolves. The actual fight with the latter was again skipped for time issues and again I think that pacing this way isn’t improved. If you set up a fight, let it be a memorable one, just like what was done with the dragon (even if the subs had a “drake”, “dragon puppy” still sounds very funny). The cute and weird creature appeared again and this mystery (at least for me who has no knowledge of the game) was explained. I don’t know if we need more comedic elements and especially elements with the accent of Osaka but that will remain to be seen. 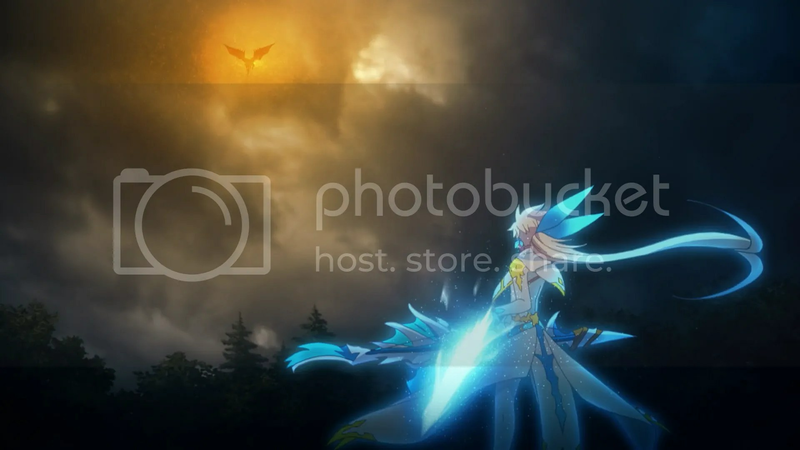 The one thing I thought about the preview is that Sorey has 3 elemental Seraphs (fire, water and earth) and one place is still left. 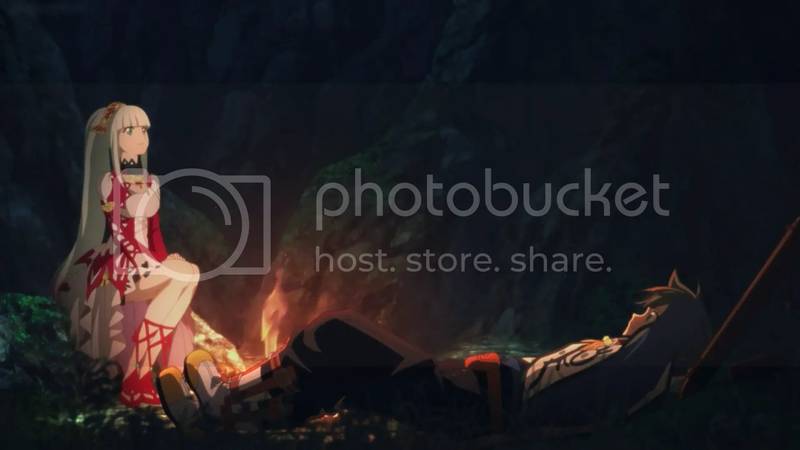 Well, some characters in the OP still haven’t been featured very much and since Zaveid doesn’t look that promising, I would bet on that hat wearing companion of Shirayuki to make Sorey’s Elemental Squad complete.. 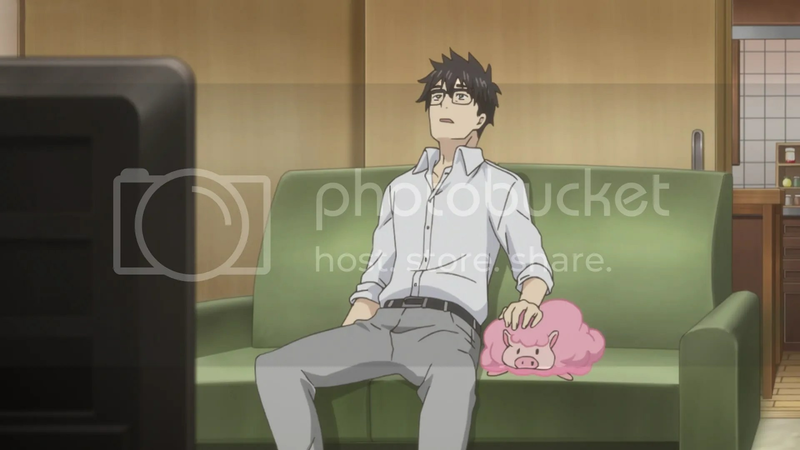 If you averaged every episode of Amaama to Inazuma so far you would probably get something very much resembling this. The episode felt very short but despite of that it didn’t feel very inspired, it was just another case of making something that turns out to be great. Probably the only surprising thing was the fact that there hasn’t been a fish-preparing episode earlier. Well, maybe Kouhei just didn’t have enough skills and determination until now but Kotori’s excitement that seemed even higher than usual confirmed that Japanese do love fish. Tsumugi’s wish to play a cat reminded me of Eve no Jikan with a very similar character and that’s probably the best thing I can say this time. Maybe the show just calms before something more exciting as the finale is not that far. So it was the uncle. Well, it’s probably the only logical answer. Every character who was the least bit relevant to the story either had died or had some alibi. As one of the major mysteries of the show became unraveled, it’s yet to be seen what the uncle is really up to – why would he (if it was really him) invite Angelo by the letter and promise revenge? Maybe he just believed from the start that escaped Angelo could cause some problems some time later and simply wanted to catch him and thus end all possible problems. On the other hand, why allowe Angelo to become so deeply involved with the Vanetti’s business and become a really good friend to Nero? 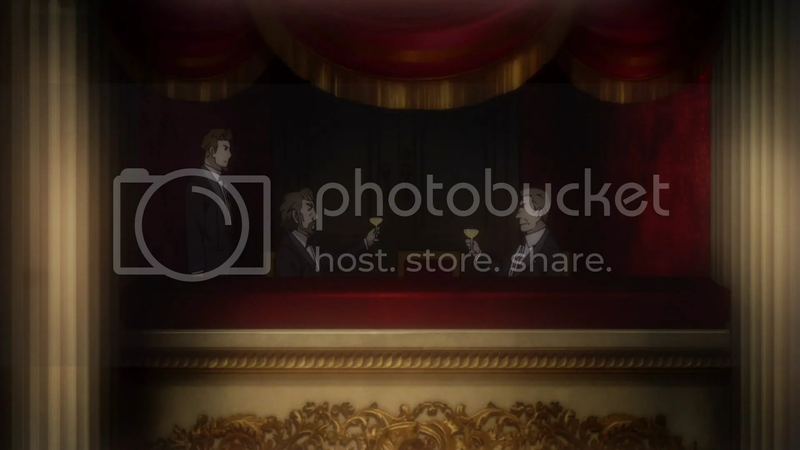 Anyway, the episode very well managed to create sense of suspense (for example Angelo’s anxiety pondering what was Corteo doing and what will become of him as well as with all the Vanettis), of waiting for something to end the calm before the storm. It did end, and even if we got some very important information, many things remain in the dark, so the very last episodes look to be very interesting. Well, the animation… To be frank, it already has been very limited and this time is no different but various non-moving shots, pans and other stuff that I really don’t have much knowledge about compensated for that so the visuals to my eyes wasn’t a big problem. 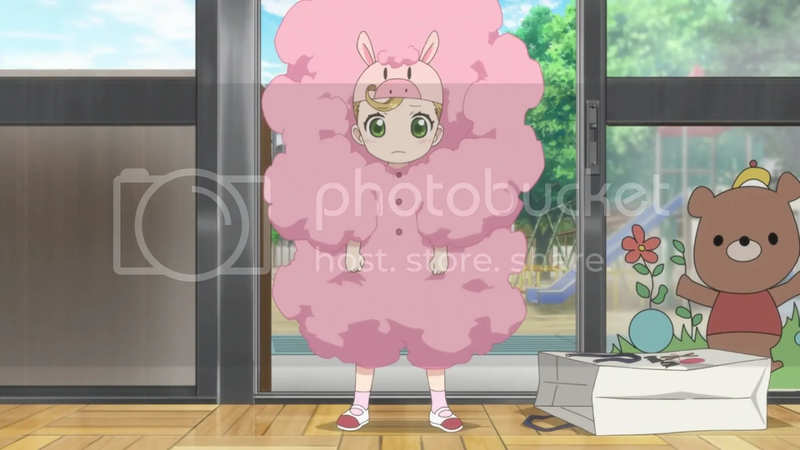 Another thing is when even in stills characters look very misshapen and sometimes even unrecognizable as if the staff didn’t have neither enough time nor resources to do the job properly. Production values this time were probably the lowest and it’s really a shame for the story and its (theoretical) visualization (forgetting some CG students) are clearly above average in my opinion. Yet when shots of quality that appear during the whole episode are so very few, it’s very difficult to concentrate on other things than ugly visuals. 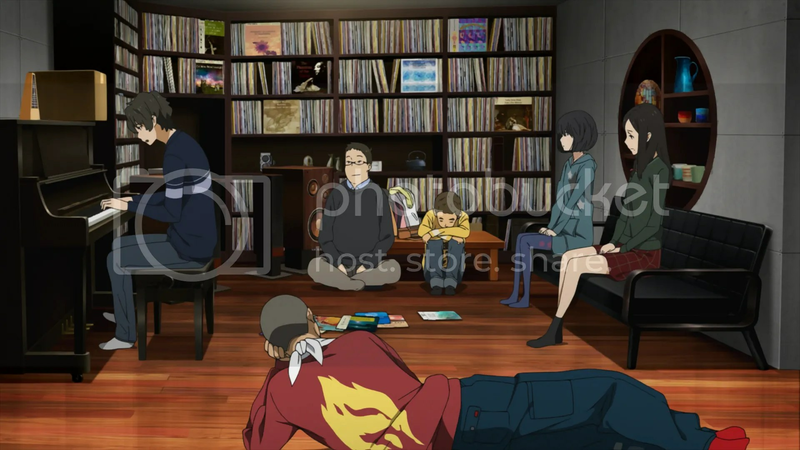 Cutting to some chibis, using lengthy stills or simply showing floating text from the letter doesn’t help either. 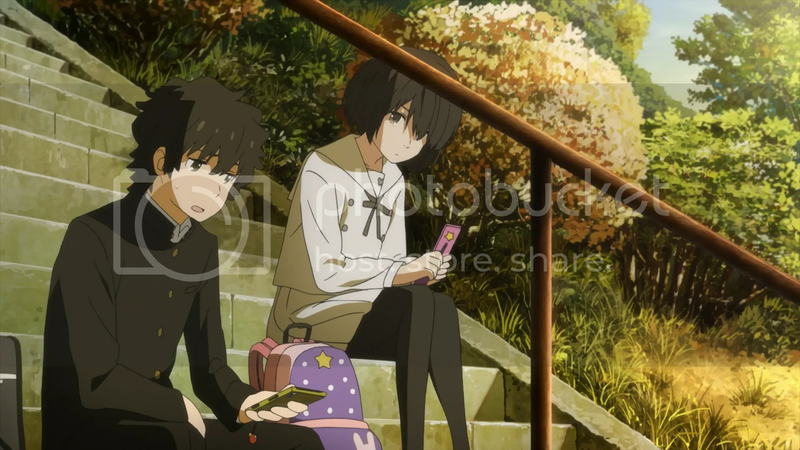 The story, as far as I have noticed moved just a little from the last time – Kakeru and Naho just start to feel a bit closer but nothing substantial really happened. Well, it looks to have been the weakest episode of all. I just hope the next one won’t end up like the last two of Eva. It was surprisingly entertaining though I can’t say it was anything I haven’t seen before. A little girl that feels superior to others and uses occasional “baka” from her dictionary (basically Kayo from Boku dake ga Inai Machi) or just a stereotypical cool guy aren’t that rare thing in anime. Yet, the dragon was truly great. I guess that level of animation and detail wouldn’t be beyond par with many examples from video games, TV shows or even some feature films. Somehow all the characters didn’t interact with the dragon physically so 2D and 3D didn’t clash like before. Returning to the new characters, some glimpses of a backstory of Edna didn’t really make me care about her and I can’t say even that about the cool guy. 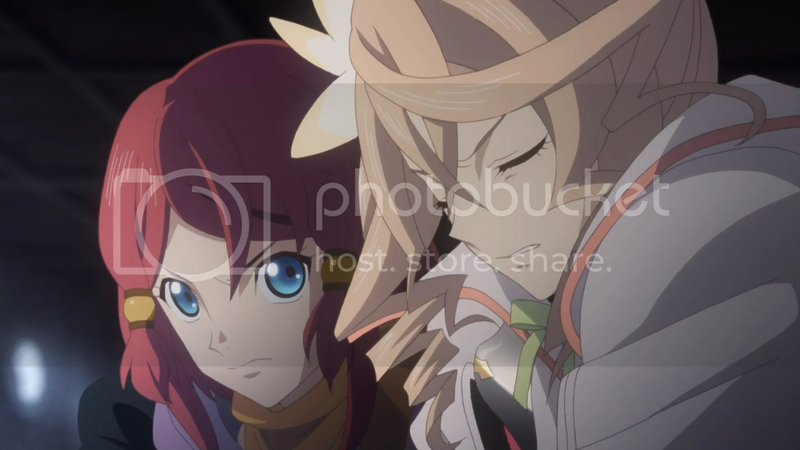 I hope these two will have their fair share of screen time but not as much as in this episode when Mikleo and Alisha (who even had her own backstory episode) barely even show up. Somehow the end feels very far and the potential of the story probably won’t have enough time to become realized. By the way, why does transformed Sorey have to wear high heels? For the most part the episode was just an animated excerpt from a recipe book with all the instructions voiced perfectly clear and obligatory “oishii” after a few initial bites. The first part about a sleepover in the school also wasn’t anything unseen or just worth remembering. 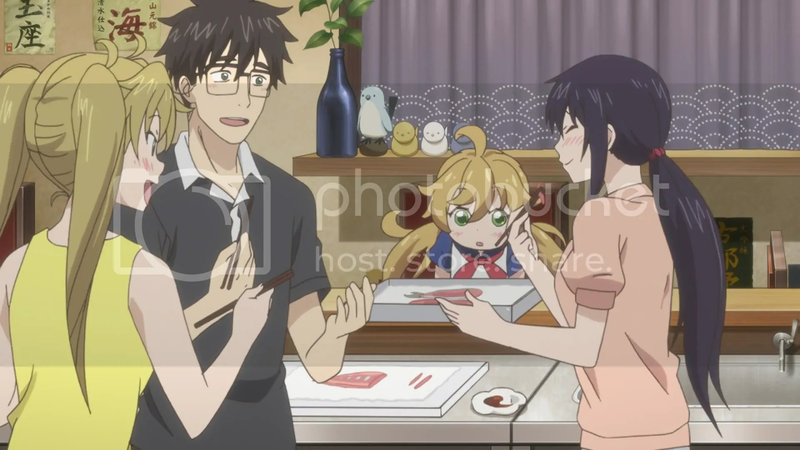 Maybe slight connections with earlier episodes – Kotori’s unending fear of knives and Kouhei’s friend briefly appearing again – added some continuity to the story. Still, it would have been a pretty dull episode if not for the ending. When you think of it, it was a really heartwarming and a bit funny memory from the past and everything was conveyed perfectly – no words were needed and the briefness of the scene made it even more similar to a memory. 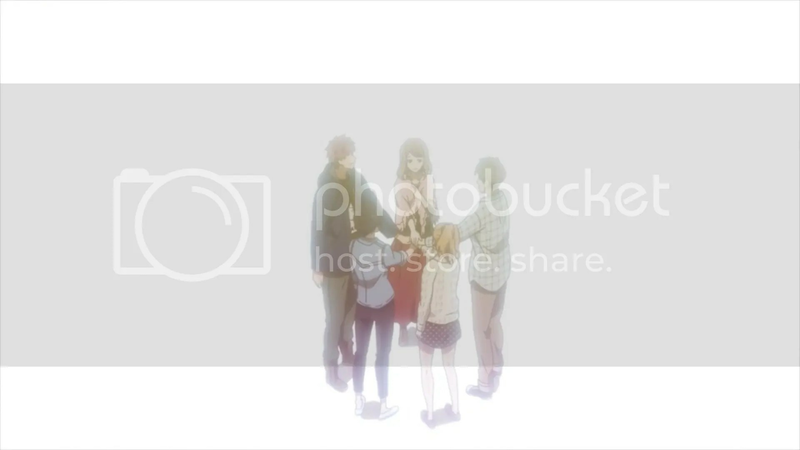 When the show wants, it can really depict the slightest emotional transitions from the real world, just like Tsumugi’s tears. There’s something very human in the feeling of regret and sadness remembering something or someone that has passed away without any chance of returning during even the brightest memories. 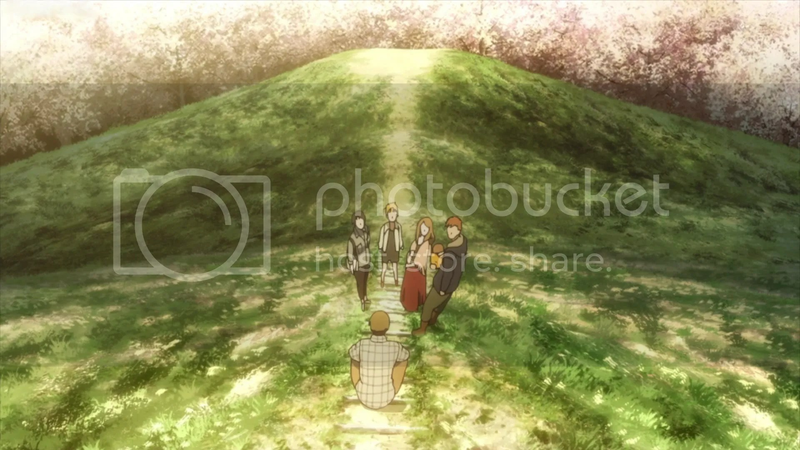 While thinking about the episode during the credits it appeared to me how many people have already died in the show and yet how many possible candidates there still are. Excluding Angelo probably every character could achieve an untimely death one way or another. Well, Fango will definitely be missed. 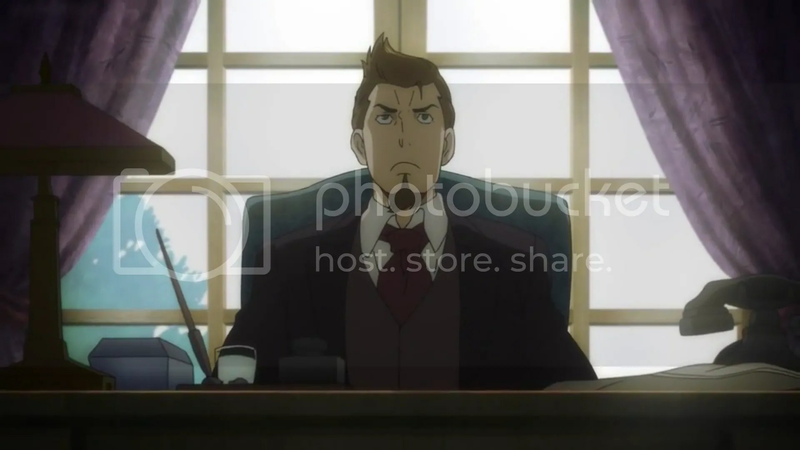 I can’t say that he didn’t deserve it considering his behavior and temper (he basically was treated the same way as he did with don Orco and his henchmen) but it’s still quite sad not being able to see him doing something straight from Baccano anymore. Fango being one of the most memorable aspects of the show I wonder how they will manage to fill the gap. By the way, it looks like the empty week was for the best since the visuals looked as well made as ever. Thinking about Corteo, it was about time some marginal character received the spotlight and the show did well humanizing him. Angelo just has nerves of steel and the right mindset to run some mafia business but it’s natural that not every person can compete with him. Seeing how determined Angelo is I begin to doubt that he would choose his friend over his revenge. Starting with the most obvious unsatisfactory thing of the episode – do you really have to rely on the most cliché scenes when the girl stumbles and the guy catches her and then there’s an awkward moment of silence? Thinking about the relay – isn’t it something related with competitiveness? Yes, the reason for all of the school sports events is to bring enjoyment and team spirit but achieving a positive result against your peers is not the least of concerns. Then is it possible for a group of friends (of whom one doesn’t even know how to run) to monopolize the relay when there clearly are better choices all around? And other students seem to be happy about their diminished chances of winning. Weird. Finally, I can salute the idea that you shouldn’t rely on external influences too much when deciding your choices in life but when the odds as high as someone’s life, wouldn’t it be wiser to at least look for potential helpful advices in the letter instead of blundering blindly around and risking upsetting Kakeru even more? Well, it looks like too many rhetorical questions this time but I can’t omit the last one – if all the friends wrote letters to their younger selves wouldn’t it have been a better idea to write about collaborating from the start? 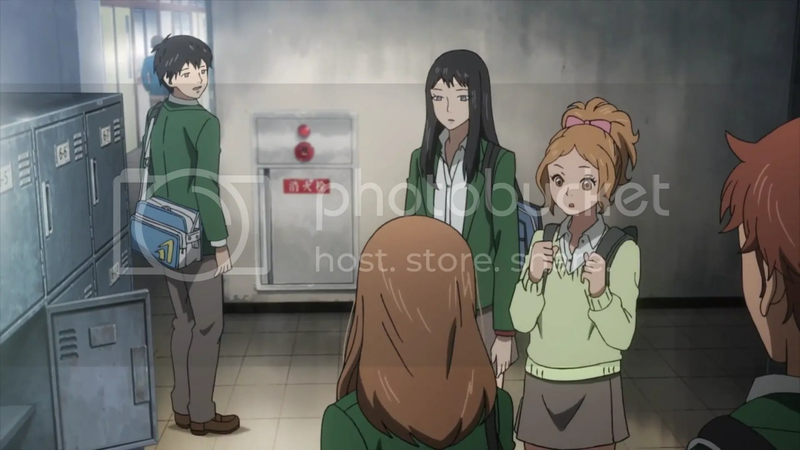 As I said – Kakeru’s life is at stake so not taking every opportunity to improve the situation seems not that smart. Actually I’d rather watch another Berseria chapter. The long awaited tornado with dragon within proved to be anything but worth waiting and thinking what will happen. Especially knowing that the anticlimactic part was put after the much more interesting episodes does not make the series more enjoyable by any means. That forest spirit that looked straight from Mushihi (except being 3D) didn’t cause any problems either. 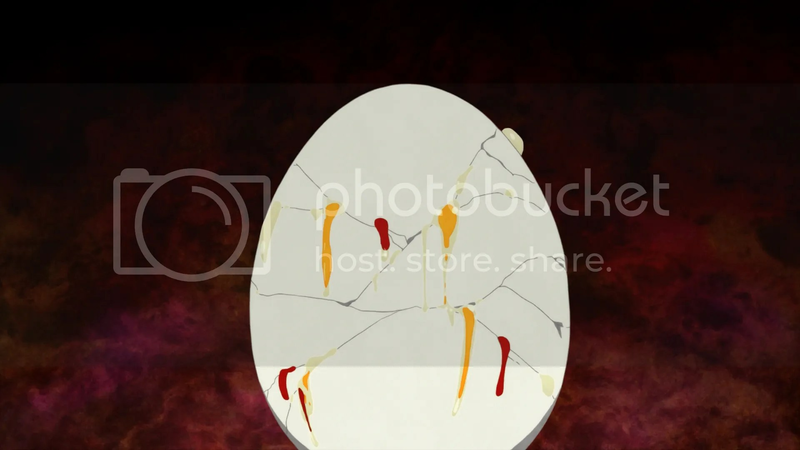 Well, even if the thing looks almost like a spermatozoid, I expected at least some fighting. The plot probably progressed far in terms of the original story but the progression didn’t make any impact. The better part is that Mikleo was shown to have more humanity. It’s never easy starting from the virtually the same point and seeing your peers outracing you by far why you just sit pondering what you should do. Making his own decisions and trying to become useful is a pretty mature choice though I don’t know yet if going alone was a wise decision. Still, he’s too important a character to die so one way or another everything will come out alright. On an unrelated note, I’m starting to miss Shirayuki. I can’t say I’m a fan of seafood and squishy and slimy things in general so this time the food part left me pretty indifferent. The meal looks alright but I’d rather choose something else. Well, that’s just personal preferences. The part that was a bit more to my liking was the idea that some things may need only a bit of patching up and you don’t need to throw them away and start everything anew. In this sense bags pretty much equate to relationships. There are other anime this season (and not this season only) that I enjoy more than this show but I really appreciate the various range of things you can get from pretty much every episode. 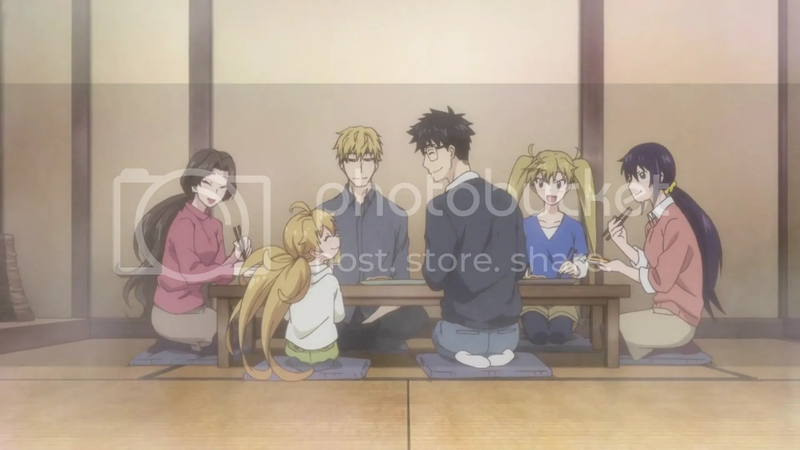 If you prefer you can watch Amaama to Inazuma only for the cooking part – for learning about Japanese cuisine or just for fun, – you can get some stories about a single parent, about doings of a little girl and what happens when the worldviews of them both clash from time to time or finally you can extract just some sincere truths of how the world works and what should be done in order to become a better person. 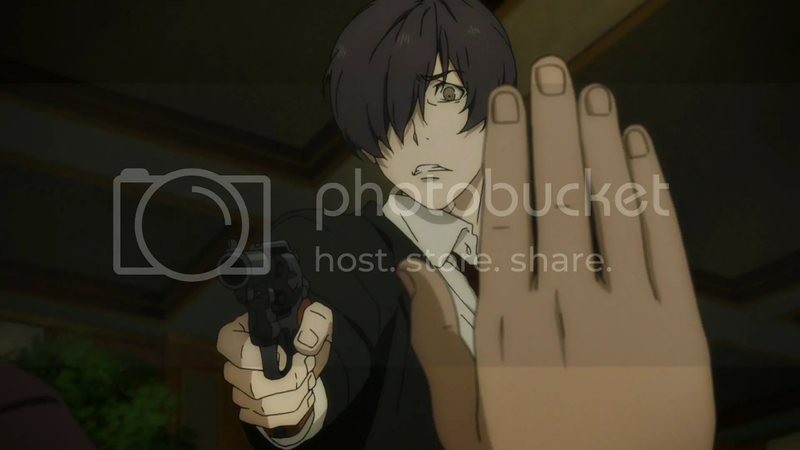 91 Days this time only managed to give a recap, and not the best of its kind. Recaps don’t really have to be a despised thing but when you only manage to glue some footage that doesn’t feel smooth at all and don’t add anything new, you get a thing that is shunned not without a reason. Oh well, maybe this production hiccup will be the first and the last. 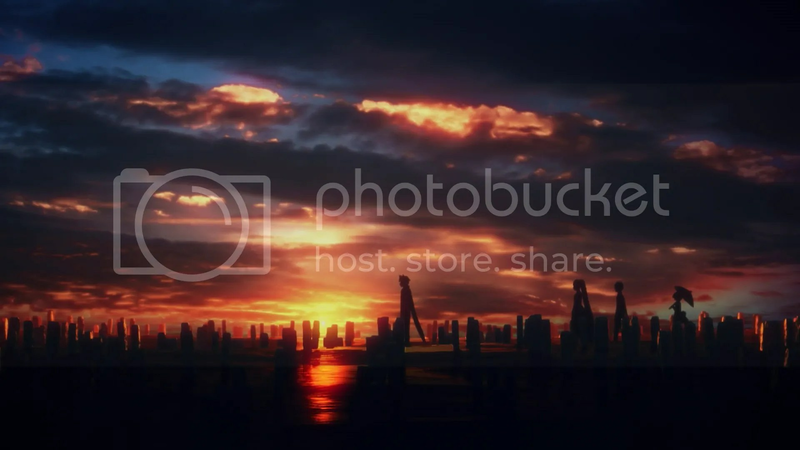 By the way, the only recap that I can say I enjoyed was that of Kara no Kyoukai.